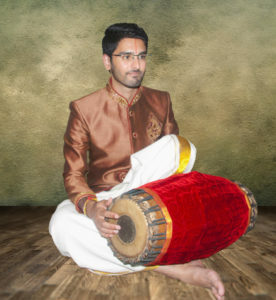 Balaram Ramagiri began playing khol from the age of eight, which later inspired him to develop his knowledge of percussion by learning mridangam. Starting at the age of twelve, Balaram received his mridangam training from Arthavan Selvanathan, taking him from the basic lessons to thani aavarthanams that included different nadais and spanned various thaalams. He has demonstrated these skills in both individual and group performances over the past six years at annual concerts organised by Arthavan’s School of Mridangam. In the last two years, Balaram has also visited Chennai for extensive training with Arthavan’s guru, Sri J Ganesan, learning higher level thani aavarthanams and song accompaniment. 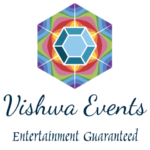 He has simultaneously built on these skills with the guidance of Arthavan.